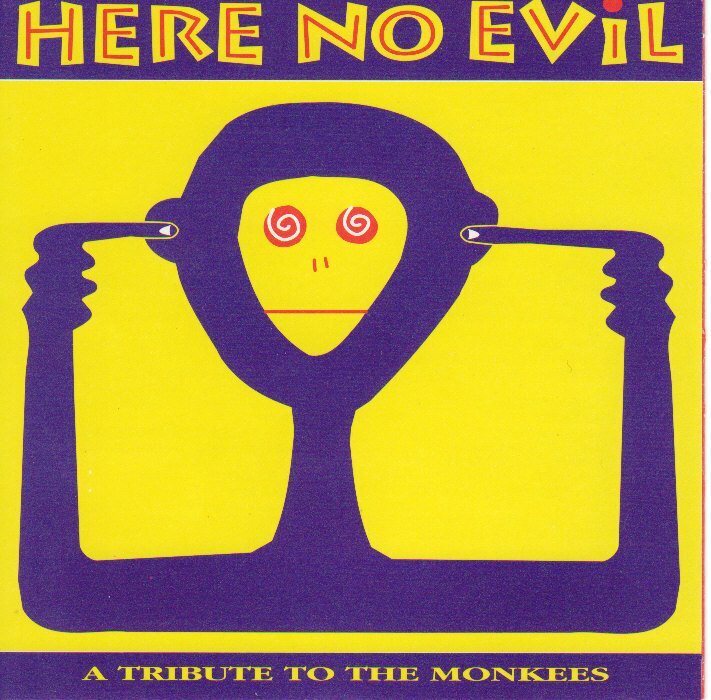 I actually hoped to get this on here last week to coincide with the first two Monkees albums being re-released to CD, but I didn't make it. This CD from 1992 has a number of indie performers you've probably never heard of re-interpreting songs from the OTHER Fab Four with varying degrees of success. Give it a try. I hope you like it! 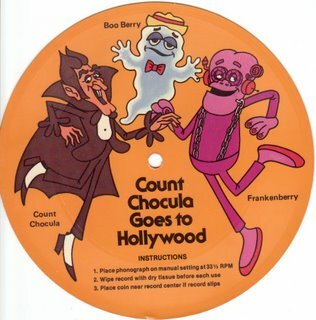 Anyway, in this record Count Chocula wins a contest to appear on the TV western "Haunted House on the Range". He thinks he's going to be the star, but they hire him to be the stunt man and the same zany antics ensue that always do when a cartoon character becomes an unwilling stunt man. I won't give away the ending, but you probably know how it all turns out. And all this happens in less than 5 minutes! 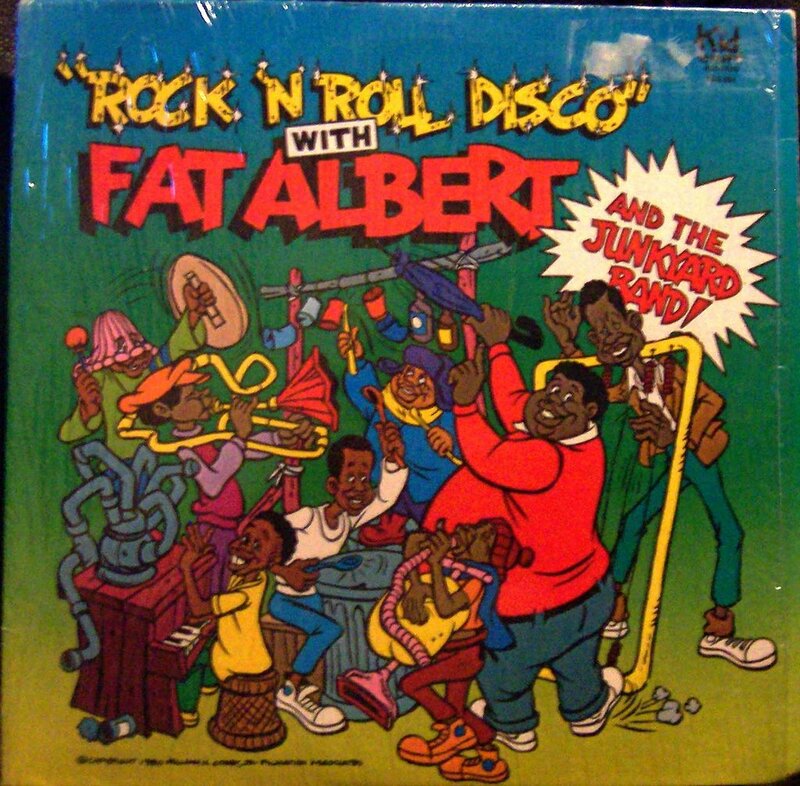 Hey, don't expect deep plots from a cardboard record in a cereal box! This must have been the album cover Jiminy Cricket was posing for. 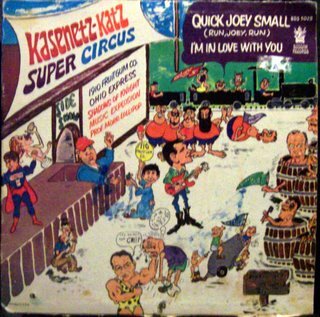 Oddly enough, he doesn't make an appearance on this record at all! 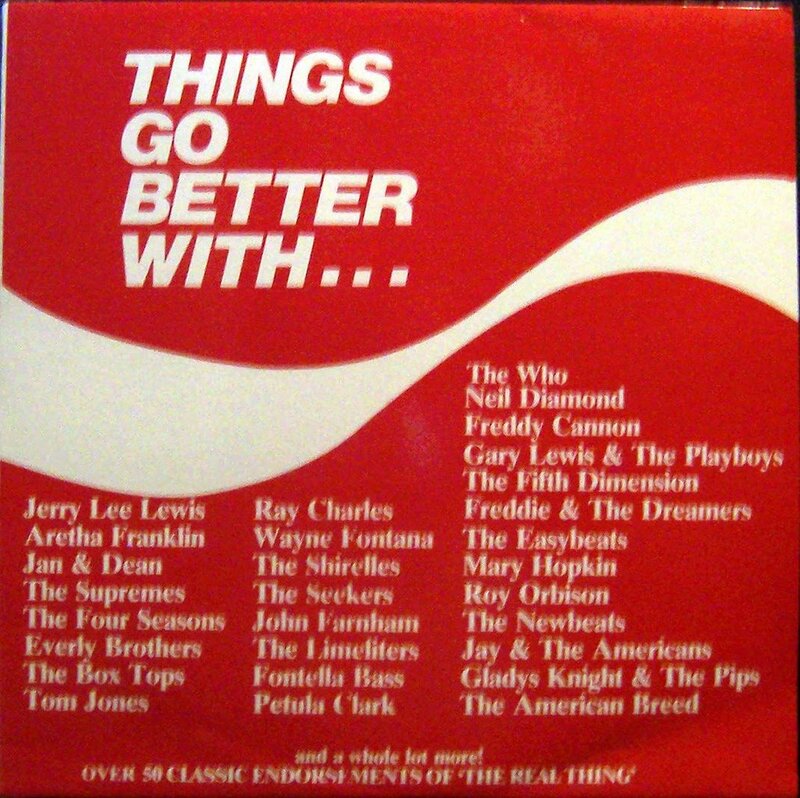 Instead, we get three of the four singers that were on the "Songs from the Electric Company" album I posted earlier. 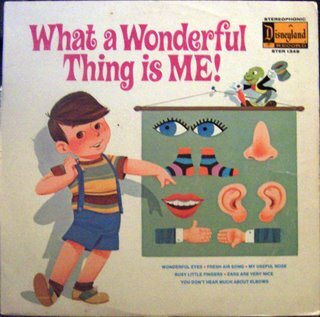 This has lots of cute songs about the parts of the body and what they do. You've always wanted to dance to a sampling of TV theme songs set to a pumping beat and a rocking synthesizer, haven't you? Well, here's your chance! 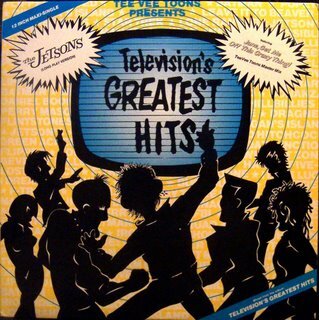 Put out by the same company that did "Television's Greatest Hits", this EP from 1986 also functioned as a preview of sorts of what songs were available on that album. 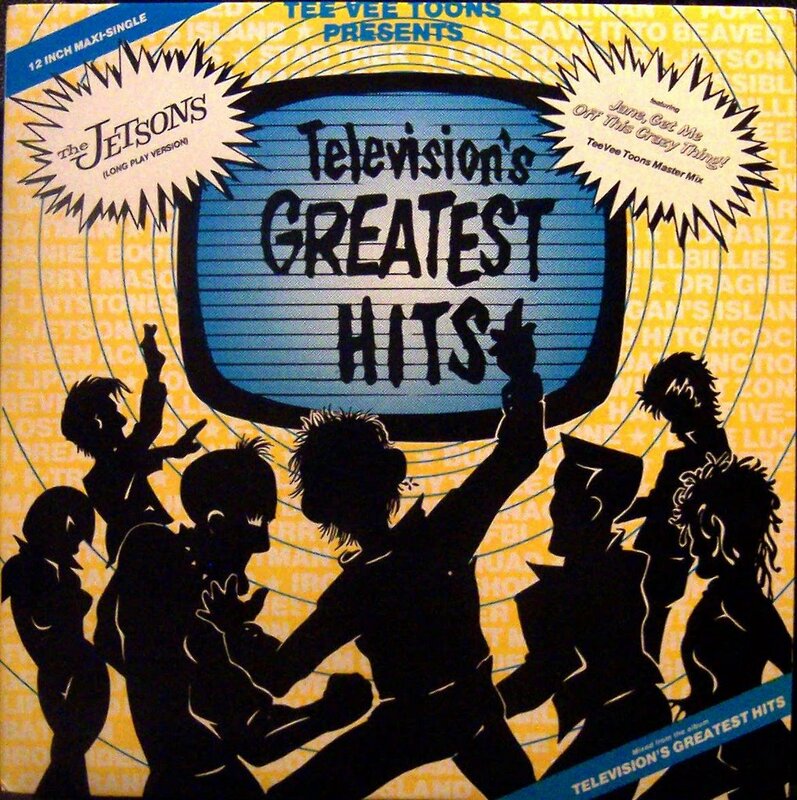 Included here was the original theme to the Jetsons (actually the opening theme with the closing theme spliced onto the end of it), as well as a "Longplay" version that included a longer instrumental break. But the mixes are definitely the most unique songs here. Everything from "Adam-12" to "The Addams Family" is represented here in small, bite-sized chunks. And you really could dance to it, but you might feel silly doing it (especially if you dance like me)! 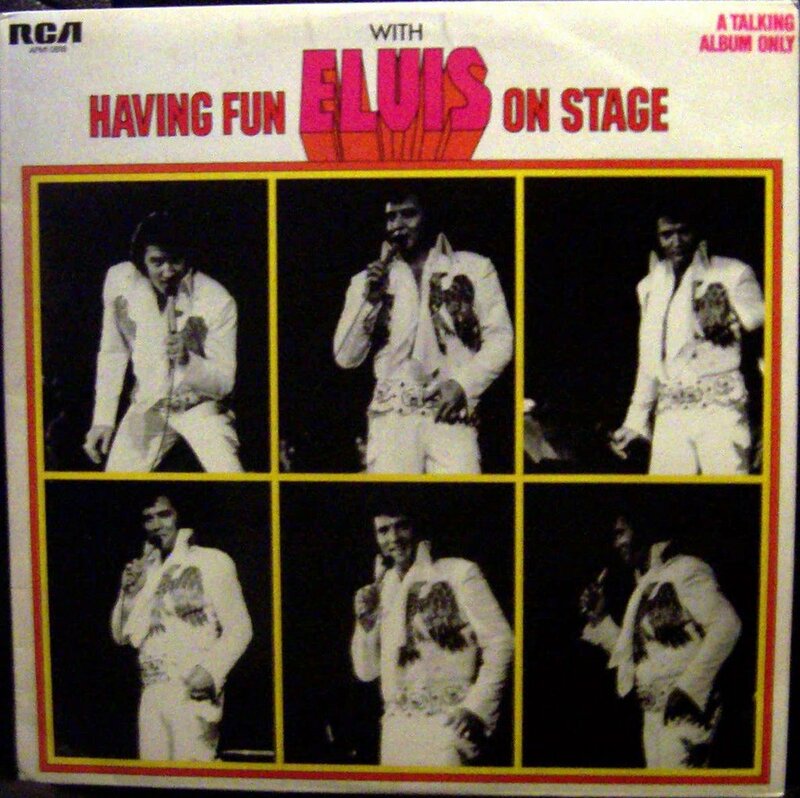 Yes, this is an actual Elvis live concert album WITHOUT THE SONGS!! This has got to be heard to be believed! 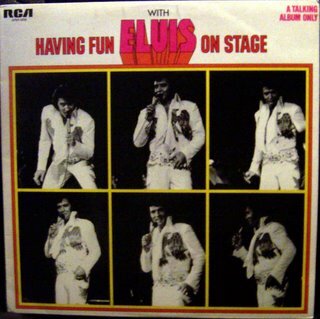 Elvis Presley was a great charismatic performer, but he wasn't so good on the between-song patter (and remember, that's all there IS here)! And one last thing: the management will not be responsible for injuries caused by jaws dropping and heads shaking in confusion after listening to this album. Remember Tiny Tim? If you don't, he was an odd looking (but very entertaining) man who played the ukulele and appeared on such shows as "Laugh-In" and "The Ed Sullivan Show" in the late 60's. He had a big hit with "Tip-Toe Through the Tulips", which became his signature song. 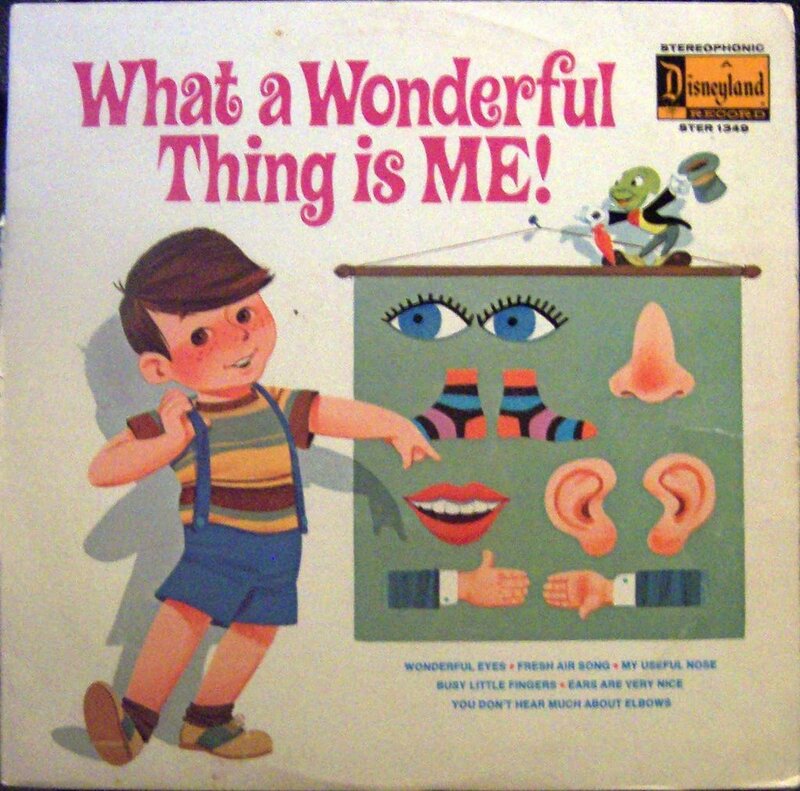 This was actually his second album, released in 1968. 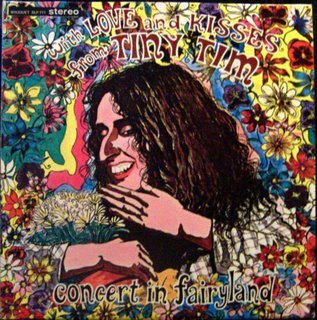 However it was an unauthorized release that, according to a Tiny Tim website, was actually recorded in 1962 and pushed back into release when Tiny Tim became famous. It's really not that bad, except that whoever put it together wanted it to sound like a live album so they dubbed in audience cheers and applause. The trouble is, they WAY overdid it. It sounds like the Beatles, Elvis, and Hulk Hogan winning the final game of the World Series (or the World Cup if you're not from the U.S.)! 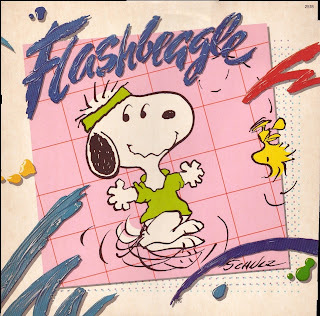 This is the soundtrack to the 1984 Peanuts special "It's Flashbeagle, Charlie Brown". There's a pretty good variety of music here, from disco to country to ballads. Also the song "Let's Have a Party" became the theme song to "The Charlie Brown and Snoopy Show". Hope you like it! UPDATE: I've read that the bonus special on the upcoming "Snoopy's Reunion" DVD will be "It's Flashbeagle, Charlie Brown"! So if you'd like to get the special that these songs were taken from, just click on the link below! You know, I feel like I've been a bit remiss in my duties lately. I mean I've had some fun junk here, some neat junk, maybe even some cool junk, but it's been a long time since I've actually put something here that's lived up to the title of this blog. Well, Gang, I'm going to rectify that right now! This is most definitely WAY OUT JUNK! 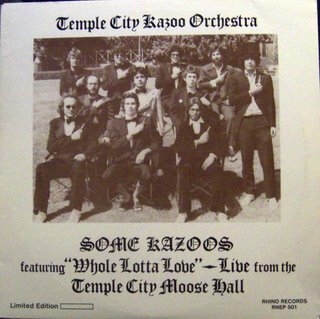 This short album from 1978 features the Temple City Kazoo Orchestra doing a few of your old favorites, all using that "most difficult of all intruments to master properly", the kazoo. There really isn't much to say here, other than download and enjoy! Oh yeah, one other thing. 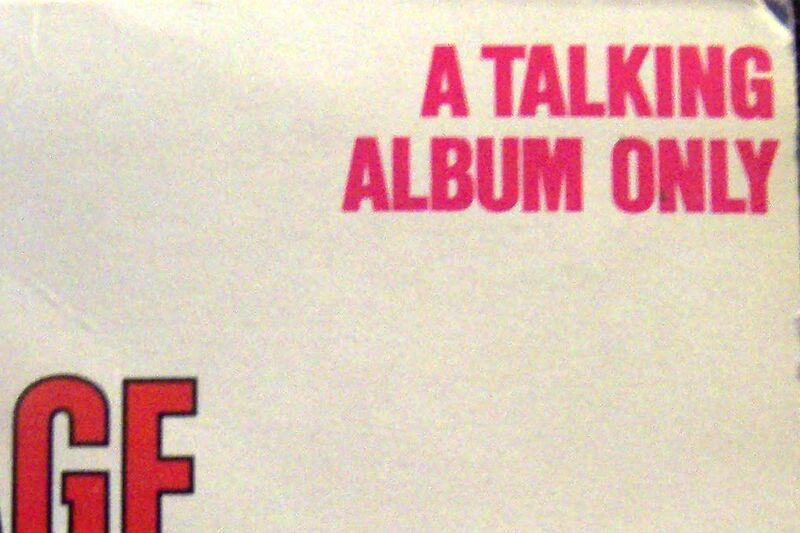 If you looked at the record closely, you could read messages written in the run-off groove (that groove between the end of the music and the center label). Here's what was written in that area: "Kazoos...America's best entertainment value! ", "A 'Top Ten' smash! 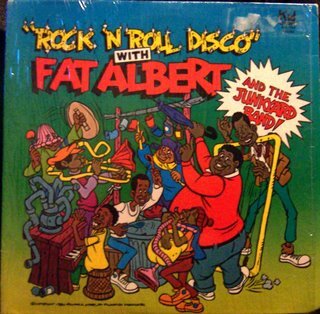 ", "Rhino Records! Collect them all! Trade them with your friends! 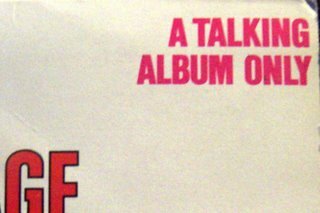 ", and "Like the record?...then see the movie!!" I guess there's not enough space to do that on a CD, huh? The last track was taken from another record, but I felt it deserved to be included here. Take a listen and tell me, is this Way Out or is this WAY OUT?! Remember the Funky Phantom? This cartoon came out in 1971 on the heels of Scooby-Doo. 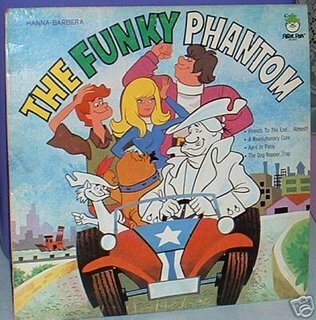 It was a similar concept, except they had a Revolutionary War era ghost and his cat helping them solve mysteries. This one didn't take off like Scooby-Doo did, and only ran 17 episodes. Here's four stories of Jonathan Wellington Muddlemore (or Mudsy for short), Boo the cat, and their teenage friends. However, they didn't use the original cast for these stories. Instead it sounds like most of the voices were being handled by Peter Fernandez and Corinne Orr of Speed Racer fame. Did they think us kids would be stupid enough not to notice the difference? WERE we stupid enough not to? Anyway, here it is for your enjoyment and edification. I cheated a bit on the cover picture above. I bought mine at a church garage sale a few months ago, and the child who owned it drew circles in magic marker all over it. This one's much cleaner. 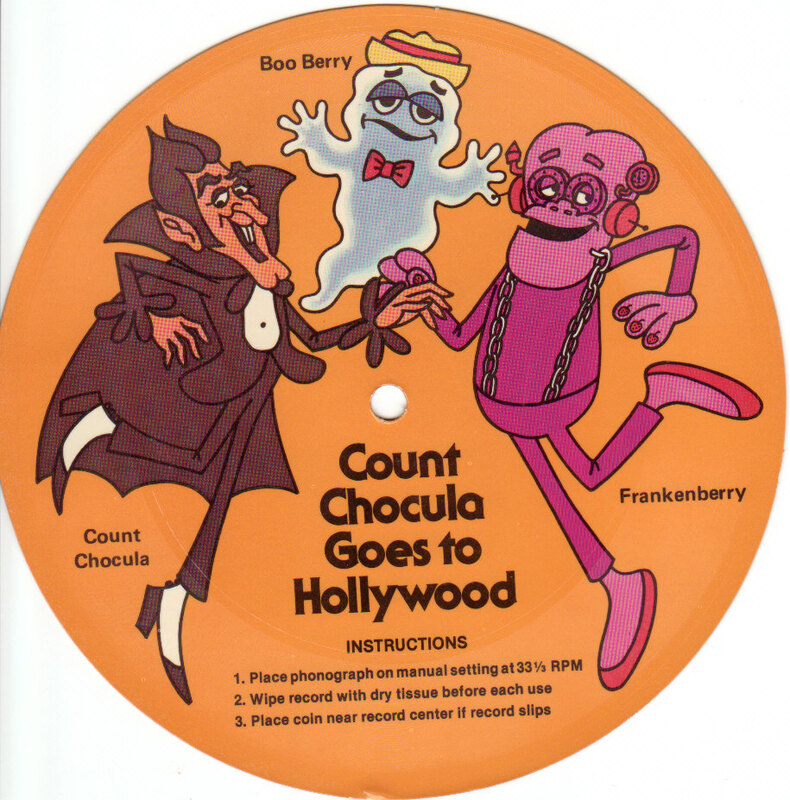 This was a promotional record containing commercials for a certain cola-flavored soft drink. (Hey, if they're not going to say the name, neither am I!) 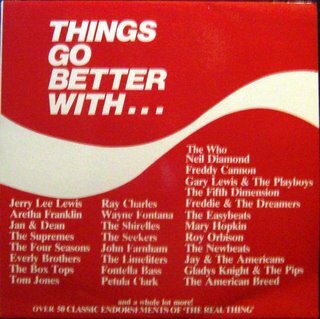 But if you can't figure it out from the slogan and the color scheme of the cover, you probably wouldn't be interested in "Over 50 Classic Endorsements of 'The Real Thing'" . There is quite a line-up here as you can see, divided into three sections: The American Jingles, The British Sound, and The Downunder Sound (and the fourth section of bonus tracks I had from other sources). It was really pretty neat how different groups approached their commercials. Some did the regular jingle. Some incorporated it into a song they already sang. And others did a totally original song about the product. All of these are fun to listen to and hard to find otherwise. So kick back, have a Co...I mean a certain cola-flavored soft drink, and enjoy! 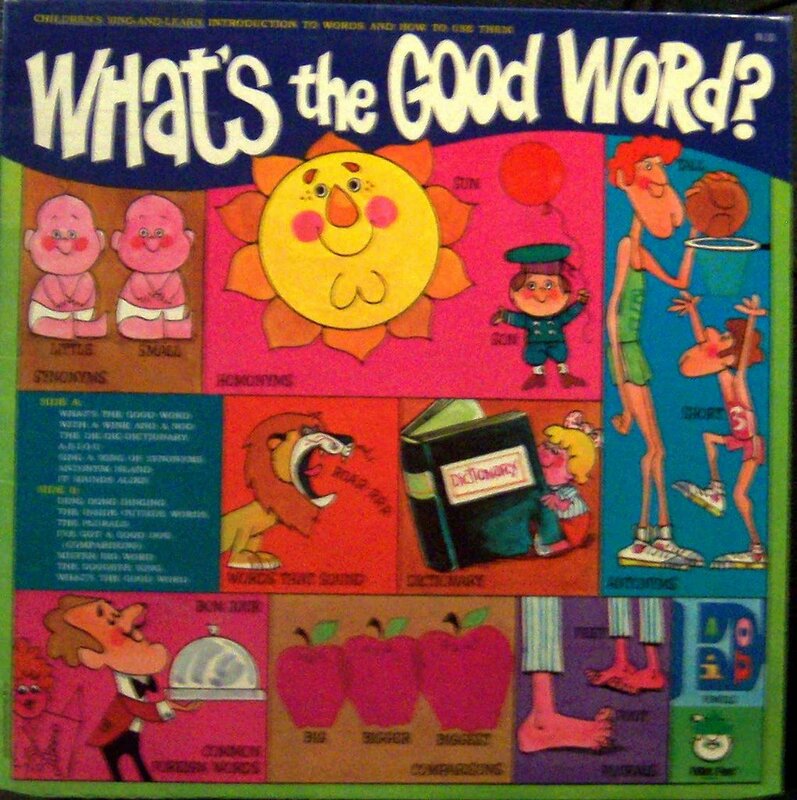 I couldn't find a date on this one, but I'm expecting it came out in the early 70's. 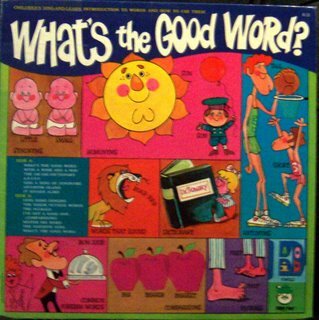 Subtitled "Children's Sing-and-Learn Introduction to Words and How to Use Them", this album covers a lot of territory including synonyms, antonyms, homonyms, plurals, onomatopeia, and other word forms. While it's not as catchy as the Grammar Rock songs, it is brought to you by those swingers at Peter Pan Records, so it's still pretty cool!